Coastal development that encroaches on dynamic coastal processes can lead to unintended consequences in adjacent areas, such as increased erosion, particularly where sediment transport pathways have been interrupted. Information about coastal compartments can provide information on coastal stability, and on the scale of dynamic sediment processes that need to be considered in management plans and approaches. The compartments approach, together with associated knowledge of sediment budgets, can help to identify which areas of the open coast will be early responders to sea-level rise, and whether they are likely to lose or gain sediment. CoastAdapt includes mapping of coastal compartments and related information on their susceptibility to change. For compartments that are highly susceptible to erosion, only limited shoreline development is advised. If a development is proposed near a compartment boundary, it is useful to consider adjacent compartments. For compartments susceptible to change, management decisions will require additional information on local coastal response to storms, sediment availability and assets exposed to hazards. Coastal landforms have evolved through the action of dynamic oceanic and atmospheric processes, some of them at regional scales, on the coastal geology. Around Australia, there are a number of major longshore sediment transportation systems and areas of sand accumulation. Around the southern half of the continent these are driven by the southerly Southern Ocean swell and in parts of northern Australia by southeast trade-wind waves and northward flowing tidal currents (Short and Woodroffe 2009). Figure 1 illustrates the major sediment transport systems. 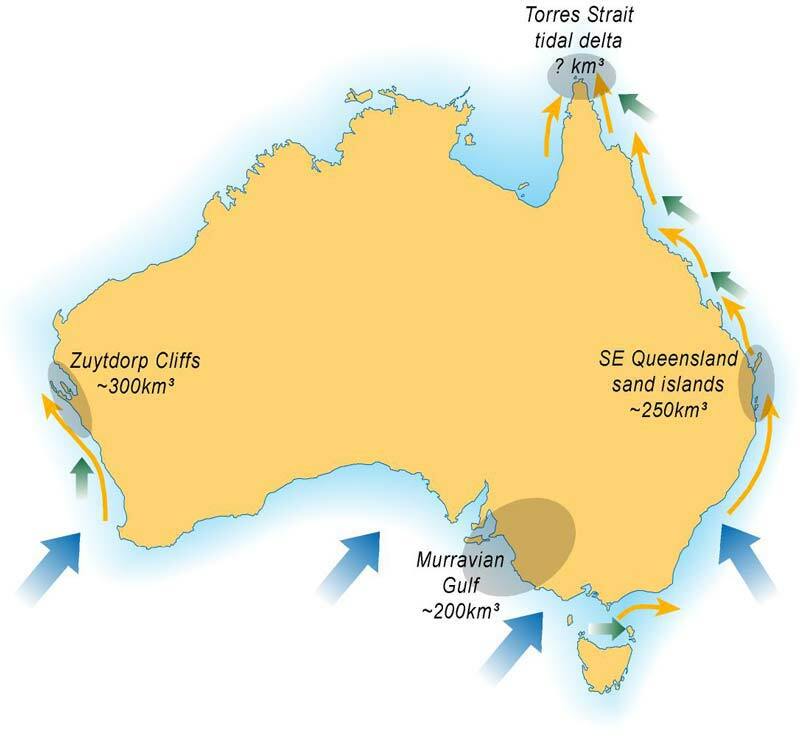 Figure 1: Major longshore sand transport and deposition systems around Australia. The orange arrows indicate major longshore sand transportation pathways; the blue arrows show dominant southerly swell direction; the green arrows dominant trade-wind wave direction; and the shaded areas indicate major regional sediment accumulation sites. Source: Short and Woodroffe 2009. Failure to consider sediment transport processes across regional scales can be costly; it can result in permanent change to beaches and soft shores. The construction of a training wall in the early 1960s at the mouth of the Tweed River in northern NSW blocked the northward movement of sand over the state border and into the Gold Coast. This sand would normally have maintained the beaches in the region. The solution, including a seawall, dredging of sand and a permanent pumping system, has been a large and ongoing expense (see a case study on the Tweed River sand bypass). Similarly, the northern drift of sand from Busselton to Mandurah on the Western Australia coast was interrupted in the 1990s for a canal estate development called Port Geographe. This resulted in erosion to the northern beach that threatened roads and houses and a build-up of sand and rotting seagrass against the updrift training wall. Sand deposition areas can also present problems for coastal management, for example accumulating and shifting sandbars in tidal channels and estuaries can become dangerous for navigation. One place experiencing this is Georges Bay in eastern Tasmania, which is a sand sink and also an important sheltered port; the shifting and expanding sand bars in the tidal channel are a navigation hazard. A coastal compartment is an area in which coastal processes, and their effects on the geology of the coast, are broadly homogeneous. The compartment boundary is usually a feature such as a headland or river mouth which effectively divides the compartment and its processes from its neighbour. The coastal compartments approach provides a useful framework for coastal management and regional planning, as the compartments are derived from the assessment of the spatial areas of linked coastal processes and landforms. The compartment boundaries act as natural barriers to sediment transport, enabling the area between boundaries to be treated as a semi-closed system with quantifiable sediment sources and sinks. The approach is applicable to the open coast and does not include detailed sedimentary processes in estuaries and coastal lakes. The coastal compartments approach is being used in the United States, the United Kingdom and some parts of Europe, as it provides an effective framework to address issues such as sediment movement between rivers and the shoreline that can cross administrative boundaries. Given the spatial and temporal variability in coastal sediment transport, a nested hierarchy of coastal compartments has been defined for Australia. Large primary compartments can define the external conditions for smaller secondary and tertiary compartment analysis; primary compartments can be important in understanding local historic trends, contemporary processes and risks of broader erosion and accretion. Figure 2 shows how small tertiary compartments (bounded by red lines) fit within secondary compartments (shown in blue lines) and larger primary compartments (in yellow), and that each of these scales is suitable for different types of decision-making. Figure 2: Coastal compartment scales, use and timeframes. Source: Thom 2015. © Commonwealth of Australia 2016. CoastAdapt includes maps of primary and secondary coastal compartments and their attributes, together with further information on their use: see the Coastal Compartment datasets, and the Information Manual 8: Coastal Sediments. Receding and likely to continue eroding in future. Your local government may have available more detailed coastal information related to your location that you may also wish to consider. The following steps can help to make use of coastal compartments information in coastal management and adaptation. Start by looking at the coastal compartments information and identify the level of susceptibility for the compartments that relate to your local government area or location of interest. This is in a scale of 1 to 5, with higher numbers indicating a greater susceptibility to erosion, and lower numbers a greater susceptibility to accretion. Generally, it is good practice to avoid locating infrastructure that could disrupt coastal processes in highly sensitive compartments. If the susceptibility to change is medium to high, for example 4 or 5, it is useful to get expert advice on the cause of the erosion risk to understand whether it is from high volumes of longshore sediment transport, or a deficient offshore sand supply. Limited offshore sources of sand are often revealed in beaches where recovery from storm erosion is slow or incomplete. A high level of susceptibility suggests that planning may need to consider adjacent compartments. Consider the scale of planned development in the coastal compartments. If a large or high-value development is planned, for example a hospital, it is useful to consider the implications of that development at all compartment scales. Detailed impact modelling using local data will also be needed for large developments or for critical infrastructure. For many smaller decisions, it is appropriate to consider implications up to secondary compartments. If a planned development is near a compartment boundary, it is also useful to consider the adjacent compartment and adjoining councils in planning, assessment and decision-making. Other sources of information will also be required for effective coastal planning and management, particularly where the compartment sensitivity rating is high and some Local Government may have available more detailed coastal information related. For example, there needs to be understanding of the local sources and behaviour of sediments to design effective coastal protection measures. In sediment deficient compartments, such as around Old Bar in New South Wales, there are limited sources of sand that can replenish eroding beaches without other consequences. This is in contrast to the neighbouring Foster-Tuncurry secondary compartment which is rich in sediment. Short, A.D., and C.D. Woodroffe, 2009: The Coast of Australia. Melbourne, Australia: Cambridge University Press. Thom, B., 2015: Coastal Compartments Project Summary for Policy Makers. Accessed 5 May 2016. [Available online at www.environment.gov.au/system/files/resources/4f288459-423f-43bb-8c20-87f91adc3e8e/files/coastal-compartments-project.pdf].